Almost the identical thing happened in 2009. A NORWEGIAN FIGHTER jet on a training exercise jet mistakenly machine-gunned a control tower with three officers inside, who survived unhurt, the military said yesterday. 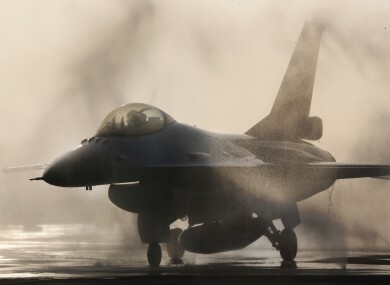 Two F-16s were taking part in a mock attack on the uninhabited island of Tarva off Norway’s west coast when one of them opened fire with its M61 Vulcan cannon, which is capable of firing up to 100 rounds a second. “An investigation has been opened,” Captain Brynjar Stordal, a spokesman for the Norwegian military, told AFP. A hail of bullets hit the tower in the incident, which happened on the night of 12 April, but the officers inside were not injured. And it isn’t just Norwegian F-16s that have form in this area. Back in 2014 a Dutch fighter jet opened fire on a control tower at Vlieland Island Vliehors, a shooting range on an island to the north of the country. Thankfully nobody was hurt in the incident. Email “Norwegian fighter jet machine guns own tower by accident ”. Feedback on “Norwegian fighter jet machine guns own tower by accident ”.